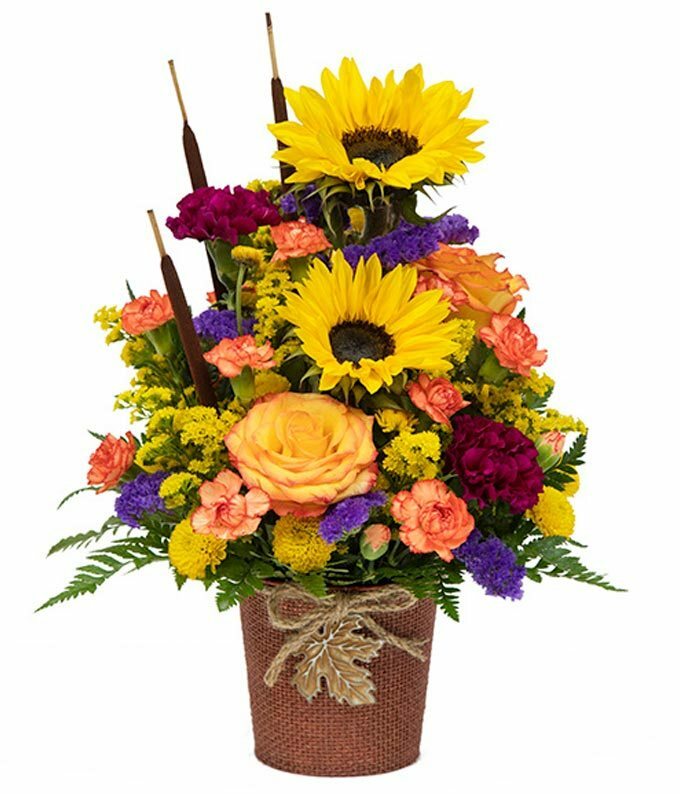 Send a fresh and bountiful gift this harvest season with the Autumn Breeze Bouquet. Brought vividly to life with an energetic and thoughtful blend of sunflowers, roses, carnations, solidago, button poms and statice in a burlap metal leaf pot cover container. This unique floral arrangement is a wonderful seasonal gift that brings flare to any holiday, congratulations, thank you or thinking of you sentiment.